So, you’ve picked out the perfect Nissan model to suit your family’s needs? You chose the trim, spent time selecting the perfect color, and you even snagged a few of the option packages to make it uniquely yours, so what’s next? Well, now it’s time to finance your purchase and at Regal Nissan, we aim to take the stress out of the financing process to help you get behind the wheel of your Nissan vehicle of choice at a price that works for you. At our dealership in Roswell, GA we take great pride in our history of serving customers across the greater Atlanta area, including Alpharetta, Sandy Springs and John’s Creek. In our years of Nissan sales, we’ve worked with drivers of all credit backgrounds, and we firmly believe in our ability to find financing that works for any budget. Whether you’re interested in leasing one of our latest Nissan models, or looking for a great deal on a car loan to purchase a used car, truck, or SUV, you can rest assured that you’ll get a competitive offer when you do business with Regal Nissan. 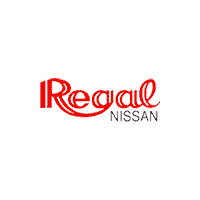 So, give us a chance to show you why so many drivers choose Regal Nissan year after year. Feel free to fill out our online financing application to get started on your next Nissan lease or purchase, or stop in to our dealership in Roswell to speak to some of our friendly, knowledgeable sales associates about your Nissan financing options today.